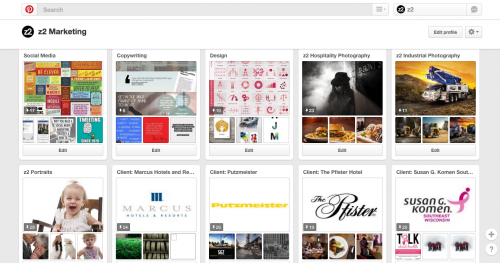 We recently created a z2 Pinterest page to showcase our client work and share industry-specific ideas and inspiration. You can meet the whole z2 family, check out our creative space and fitness center, and see what we do for fun. We also wanted to create a space to showcase some of our client work. Here, you can find photographs, brochures, flyers, posters, advertisements, trade show booth designs and more. 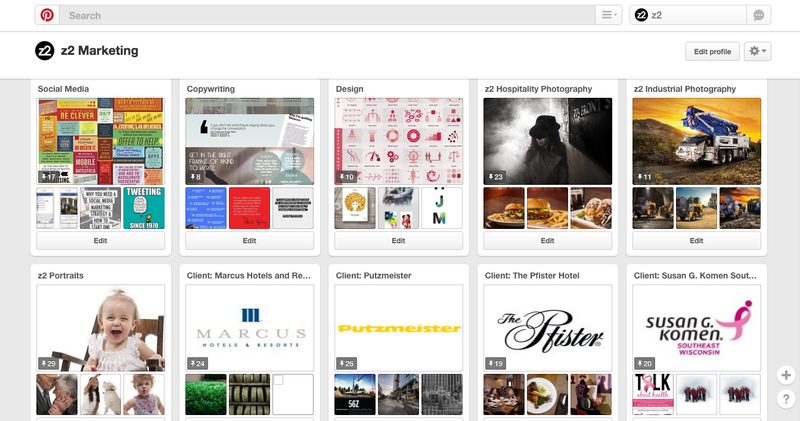 We will be continuously updating this section of our Pinterest page with new designs, photography and inspiration. In addition to client work and z2 fun, you’ll also find tips and ideas about some of the in-house specialities we focus on, such as public relations, design, social media, copywriting and photography. We hope you’ll follow us and become just as inspired as we are. Take a look: https://www.pinterest.com/z2inspired/.